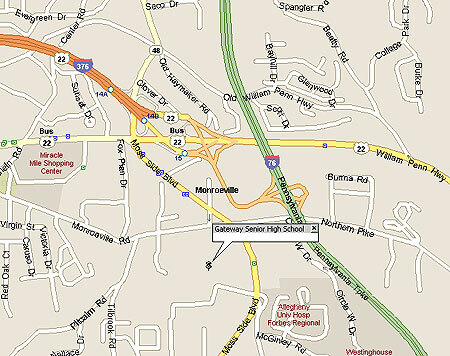 Gateway High School is located in Monroeville, near the intersection of routes 22, 48 and the Pennsylvania Turnpike in the eastern suburbs of Pittsburgh, PA.
Antimarino Stadium is located on campus, directly adjacent to the High School. There is plenty of FREE parking around the campus. 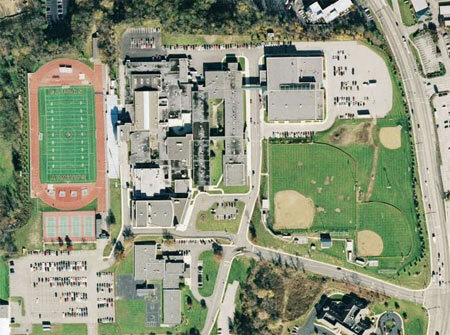 and a detailed map, click here.